If you’re travelling to the Caribbean and you can’t decide where to head, check out our travel experts’ guide to the region. We’ve teamed up with some top bloggers and travel writers to bring you the inside track on the best islands to visit. James Henderson has written about the Caribbean islands in guidebooks, online and in the British national press for the past 25 years. He is the author of Caribbean and The Bahamas and writes regularly for the Sunday Telegraph, The Times, The Independent and many other newspapers and magazines. His favorite Caribbean island is Anguilla. “I love Anguilla primarily for its people who are among the coolest in the islands so it is always a friendly place to visit, and also for its striking buildings, many of them villas, which are like geometric abstractions in white concrete. “And this is not to mention the thing that most people believe of Anguilla, that it has the finest sea and sand in the Caribbean. The water is spectacularly clear and the sand is brilliantly white, and so thick that walking the beach becomes aerobic exercise. “Choosing my favourite Caribbean island almost feels like being asked to choose your favorite child! I’ve been traveling to the Caribbean since 1986 when I spent 6 idyllic months living on Nevis. 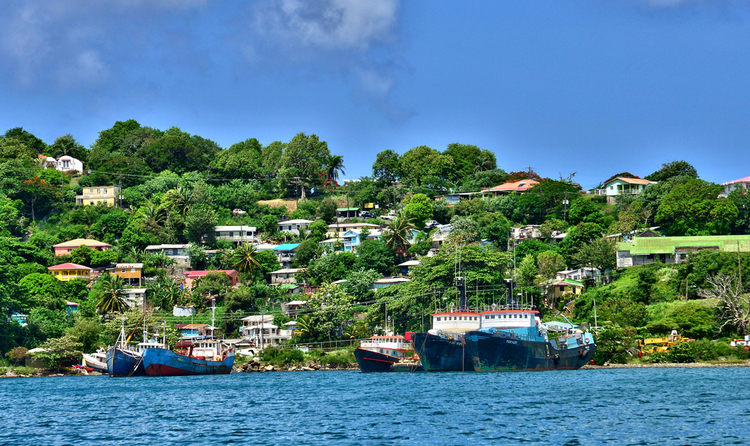 “The joy of the Caribbean is that each island is so individual. I love Barbados and St. Barts for their restaurant scenes, Anguilla for the beaches and toes-in-the-sand eateries, St. Lucia for scenic beauty, St. Kitts for its authentic unmanicured Caribbean vibe and Tobago for the diving and snorkeling. “However, if I could only ever return to one island, it would be Jamaica. 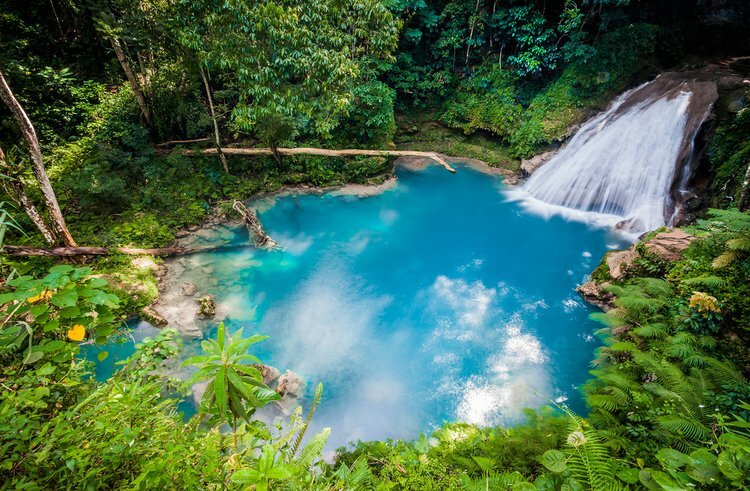 I think it’s got it all – outstanding hospitality, lush mountains, gorgeous beaches, soft adventure, great food (I cook with jerk spices at least once a week and think of Jamaica every time!) and there’s Jamaica’s vibrant music scene too. It’s one of those rare places that leaves me feeling both chilled and energised all at once. Lisa, editor of Travel Loving Family, has worked in the travel industry for 20 years and has traveled to more than 80 countries. She’s also the editor of a popular travel blog directory and writes blogs, holiday reviews and destination guides. Of all the Caribbean islands, the British Virgin Islands are Lisa’s favorite. “My favorite islands in the Caribbean are the British Virgin Islands (BVI for short) – a collection of 64 stunning islands, islets and cays located between Anguilla and Puerto Rico. I love the water and I enjoy visiting destinations that are unspoilt, which makes the BVI the perfect getaway spot for me. I’ve not managed to visit with my family yet but it is definitely high up on our family travel wishlist! “My favourite pastime in the British Virgin Islands is exploring the islands and hidden coves by chartered sailing boat. I felt like Robinson Crusoe! 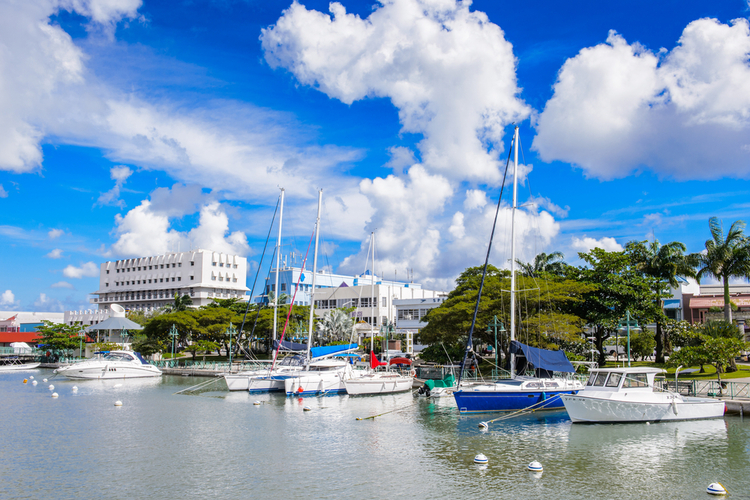 The region also offers world-class sailing and every water sport you can possibly imagine, including some of the best wreck diving in the Caribbean. Suze is the author of Luxury Columnist, a popular travel and lifestyle blog. Her favorite Caribbean destination is the lesser-known region of Les Saintes in Guadeloupe. 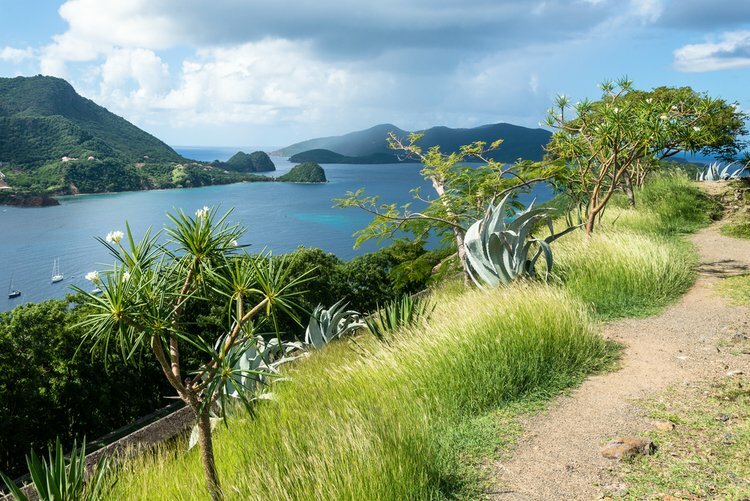 “My favourite Caribbean island is Les Saintes – a real hidden gem! It’s actually a collection of 9 islands, 2 of which are inhabited and are a dependency of nearby Guadeloupe. “Only locals are allowed to drive cars here so the islands are largely traffic free. The local islanders are mainly blue-eyed descendants of sailors from Brittany in France and the main language is French. Tropical enthusiasts Pamela and John run Rum Therapy, an online travel guide which highlights the best things to do in the Caribbean. They recently enjoyed an amazing vacation in the Turks and Caicos islands. 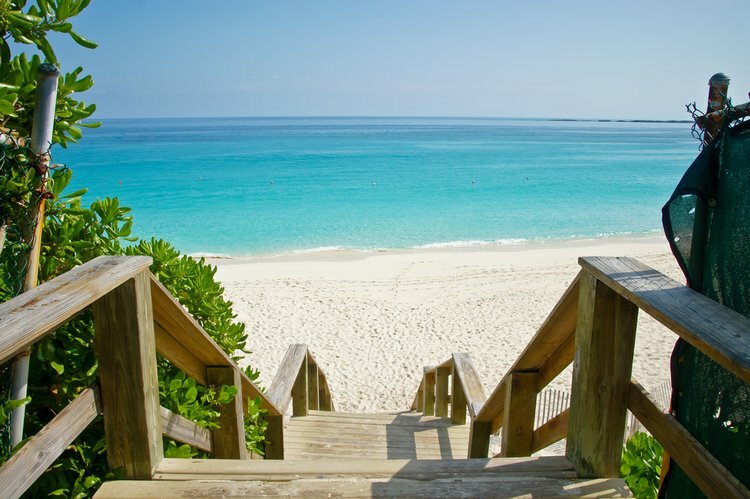 “We love all the Caribbean islands, but our most recent trip was to Providenciales in the Turks and Caicos. It’s an amazing tropical destination just south of the Bahamas. “This island of only 38 square miles doesn’t have a stoplight! Traffic is regulated by a series of roundabouts. Cars drive on the left and the island is not difficult to explore by car, but in some areas (such as the Grace Bay resort areas), rental bicycles are a convenient mode of local transportation. 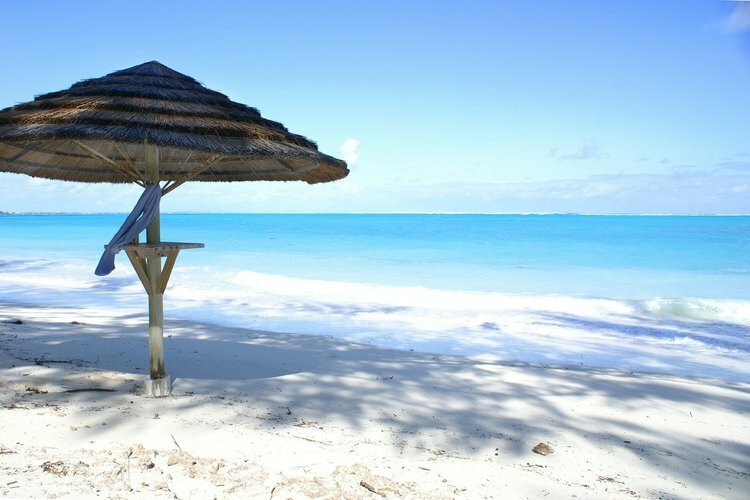 “Be sure to spend time exploring the beaches, they have bright white sand and unbelievable turquoise water. They’re some of the prettiest we’ve seen. “If you’re looking for the best things to do, you can walk for miles on the silky white sand of beautiful Grace Bay Beach. You can enjoy a delicious plate of fresh blackened or coconut crusted grouper at Mr. Grouper’s Restaurant. Or check out two popular beach bars, Da Conch Shack and Bugaloos for some fresh conch dishes and to enjoy some of the local Bambarra rum. London-based blogger Angie Silver has traveled all around the world and says that of all the Caribbean islands, St. Lucia is her favorite. “I’m a big fan of St Lucia. I went two years ago and I absolutely loved the scenery and the food. The hotels there are fantastic and the service was incredibly friendly. “Cocoa is one of St Lucia’s most important crops….yes that’s right cocoa…in other words chocolate….see, I told you this island was perfect! Chocolate is actually a big part of the country’s culture and heritage dating back to 1745 when the Rabot Estate, St Lucia’s first cocoa plantation, was established in Soufriere. Writer and adventurer Vicky is the owner of an award-winning travel blog for people who want to make the most out of their free time. She recommends visiting Barbados. “My favourite Caribbean island is Barbados. I hired a Mini Moke car and had a good look around, pulling over whenever I saw a beach I liked. “I loved Crane Beach the most. Also the food options in Barbados excel and I love the fact you can visit the big, fancy hotels without actually having to stay in them. I had a great afternoon tea at Sandy Lane! “The sun, the sand, the beaches and the rum punch – it’s all as good as they say it is. I loved passing the colorful houses every day, driving round the island and taking boat trips to admire Barbados from afar. “The best thing I did on my Barbados trip would be a tough toss up between the wreck dive and the catamaran tour. I just loved being out on the azure water in the sun, and in the case of the scuba dive, swimming up the spiral staircase like a mermaid. Popular blogger Baydian Girl also recommends visiting her homeland, Barbados. “Hands down, Barbados is my favorite island! And yes, I’m a little biased. 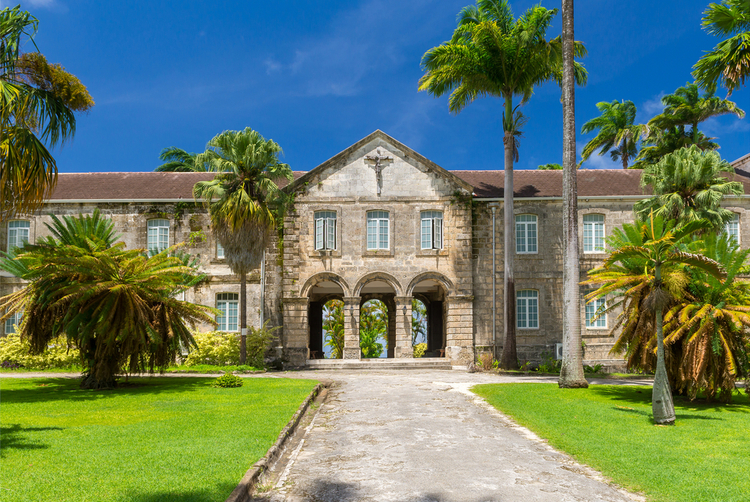 “Since I was born and raised there, I have had the opportunity to experience some of Barbados’ magical wonders with my family like Harrison’s Cave, the Atlantis Submarine, and the entertaining Island Safari Adventure Tour. In fact, there are a couple more places that contributed to my memorable childhood and extreme pride in my homeland. “First and foremost, I remember the white lion statue at Gun Hill Signal Station. It’s one of the greatest landmarks on the island. Definitely a must-see! “Then there are the beautiful beaches of Bathsheba. Trust me, walking along the seashore and watching the waves is a very soothing activity. And then right after, there’s a park where you and your family can have a picnic. “Oh, and I can’t forget Welchman Hall Gully! It’s our version of a tropical forest with a wide variety of exotic plants, including our indigenous bearded fig tree. If you’re booking a Caribbean vacation and you need help finding the perfect place to stay, then contact the Top Villas travel team. Additionally, the Top Villas concierge service can arrange any added extras you need such as great value car hire. You can see all of our Caribbean villas here.